When it comes to hot beverages, coffee is the last thing I would ever go for; I'm a tea girl through and through and I just cannot grasp how people choose coffee instead. With that said, I spontaneously tried to make an iced coffee a few weeks ago to see whether I enjoyed that better - I've been converted. This little 'recipe' I've come up with takes about 3 minutes to make and consists of four ingredients (plus ice and water) that you're guaranteed to have in your home. I just know this is going to be my signature drink this summer, so without further ado, here's the how to. Get out your glass of choice and spoon out the dry ingredients into it, and then go in with the maple syrup, too. Boil your kettle whilst you're doing this, and once it's come to a boil pour a little into the bottom of the glass to dissolve the ingredients; I usually pour about an inch. Fill your glass with ice cubes and then pour in your milk over ice. Voila! The easiest drink ever, anyone want to hire me as a barista? Just kidding, of course. But I, as a person who really does not like coffee, thoroughly enjoy this as it really tames the coffee taste. 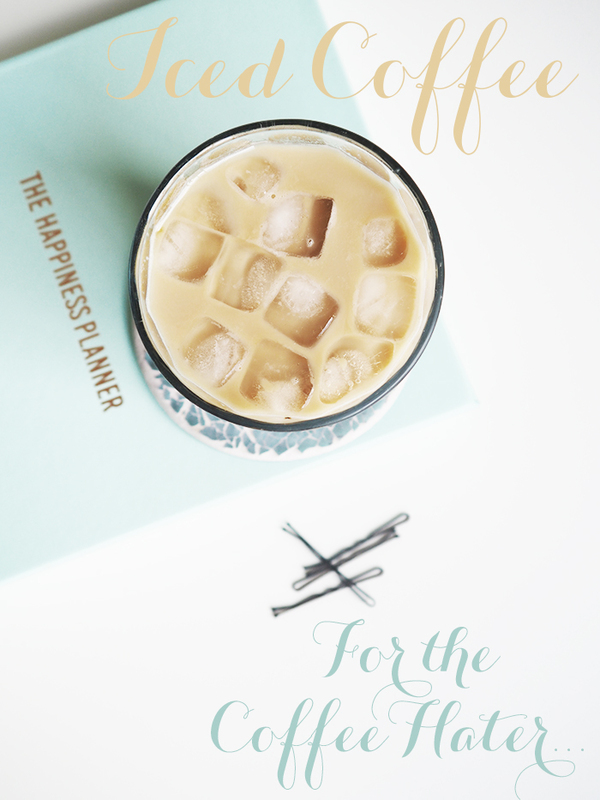 Let me know if you like iced coffee, or if you try this recipe!